Fatima: I have learnt a lot at the AboCoders Training and my digital skills have been sharpened. I know how to surf the internet, I can take pictures and save using flash drives without supervision. Although I had seen a computer before at my brothers place , I was never allowed to use it. The training has changed all this perceptions. Fatima: I had never seen a woman operate a computer. Its at AboCoders that I got exposed to computers and my horizon widened. Now I know women are well involved in technology and they have the ability to do a lot of things with the computers and can even do much better given the chance and support. 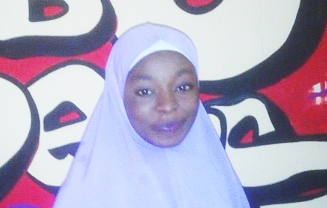 Fatima: Every moment spent at AboCoders has been a landmark for me. However, a major event that I will live to remember was our first OpenHouse event that we had where Miss MaryJane, one of our trainers taught us a lot, we watched television, played games and it was a lot of fun. It gave me the impression that as one works, one must leave time to have fun. Fatima: African Women in technology have a bright and untapped future and they can be more progressive than men in the use of technology in the nearest future if only they identify their potentials.